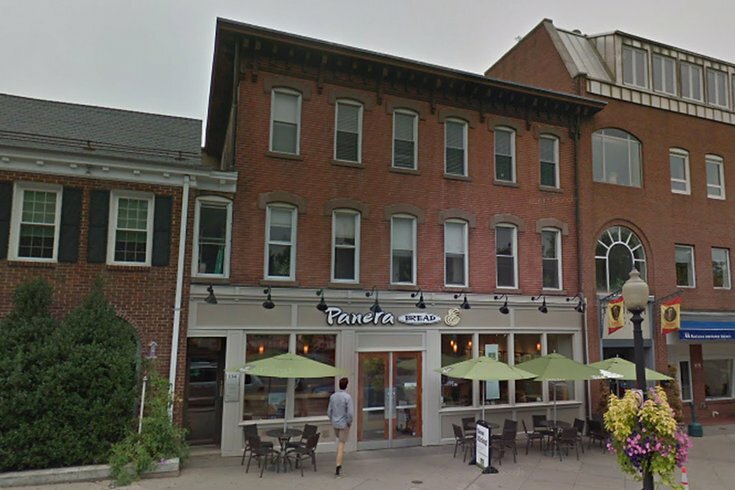 A man was holed up Tuesday afternoon in this Panera store on Nassau Street across from the campus of Princeton University. An FBI negotiating team is on the scene, according to multiple reports. Police in Princeton fatally shot an armed man who barricaded himself inside a Panera Bread restaurant across the street from the Ivy League university, authorities announced early Tuesday night. The gunman, whose identity was not released, locked himself the restaurant on Nassau Street just after 10 a.m., according to a statement from New Jersey Attorney General Gurbir S. Grewal. Customers and employees were able to flee the building while police secured the perimeter of the restaurant. Negotiations with the gunman continued through the afternoon without a resolution. The gunman was fatally shot by police shortly before 3 p.m. and pronounced dead at the scene. During the standoff, police shut down several buildings near the restaurant, located at 136 Nassau St. The street will remain temporarily closed between Washington and Witherspoon streets as an investigation continues. It is unknown whether the gunman has any connection to Princeton University. Classes are not in session because students are on spring break. Some Princeton University community members received a telephone call incorrectly reporting that shots had been fired and a shelter-in-place order had been issued. The university corrected the alert on Twitter, stressing that no shots were fired, nor was a shelter-in-place order issued. An investigation into the use of deadly force will be handled by the Attorney General's Office.